It is required if you want to travel to the closed areas in Tibet. You can gain it after you reach Tibet. We ChinaTourGuide.com are ready to help you obtain all above documents if you book a Tibet tour with us. 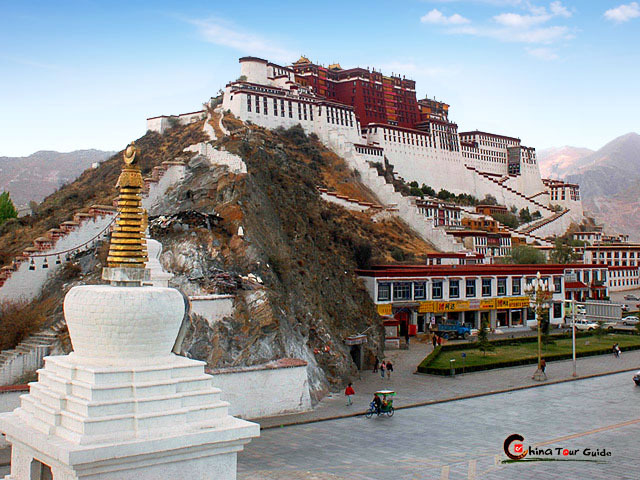 Kindly select your favorite Tibet tour packages to start a wonderful Tibet trip. 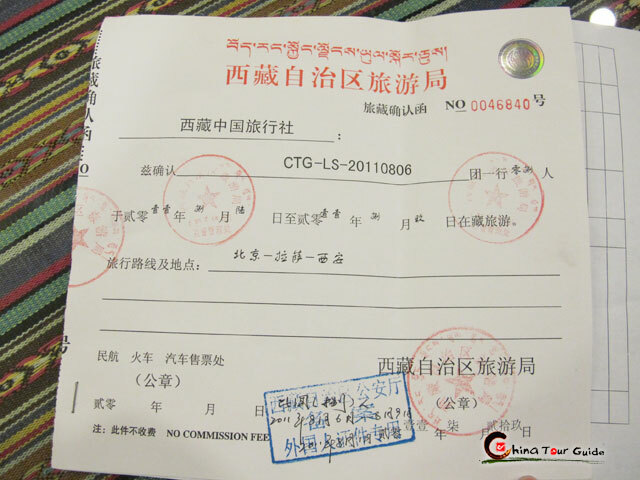 When you book a Tibet tour with ChinaTourGuide.com, you will receive your Tibet Entry Permit from our local office in the city where you leave for Tibet (e.g. Chengdu if by air, Golmud if by Qinghai-Tibet Railway). You have to present this document when you board the flight to Tibet. We ChinaTourGuide.com will obtain the very documentation for you once you book a tour with us. Pitifully, Tibet Entry Permit is still unavailable by independent travelers at present. Travelers have to travel in group and ask their travel agent to apply it for every member. Please prepare the following documents before asking your travel agent to apply permit. 3. Full names, Gender, Date of Birth, Passport number, Nationality, Occupation. 1. 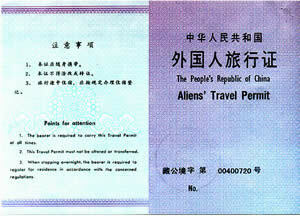 Article 20: Foreigners who hold valid visas or residence certificates may travel to places declared open to foreigners by the Chinese Government. 2. Article 21: Foreigners who desire to travel to places closed to foreigners shall apply for travel permits from local police. 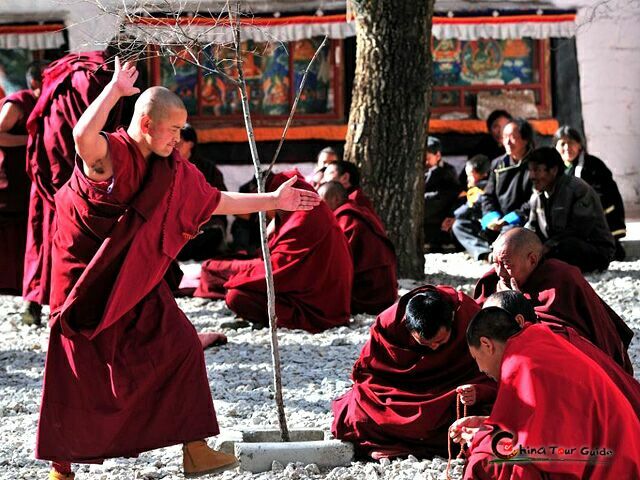 Note: Lhasa and Nagqu regions are open to foreign travelers and need no Travel Permit. We ChinaTourGuide.com will help you to apply for it after you enter Tibet. We will ask you for your passport and the Tibet Entry Permit and submit it to the Foreign Affairs Section of PSB.